The songs which make up this new work are the result of the concert dedicated to Javier Busto, which took place in Hondarribia (Basque Country – Spain) on the 15th November 2014, given by his friends from the choral world. For this occasion, together with pieces composed by Javier Busto, five new compositions were performed and also recorded, one by each of the following composers: Javier Busto, Josu Elberdin, Junkal Guerrero, Xabier Sarasola and Eva Ugalde. 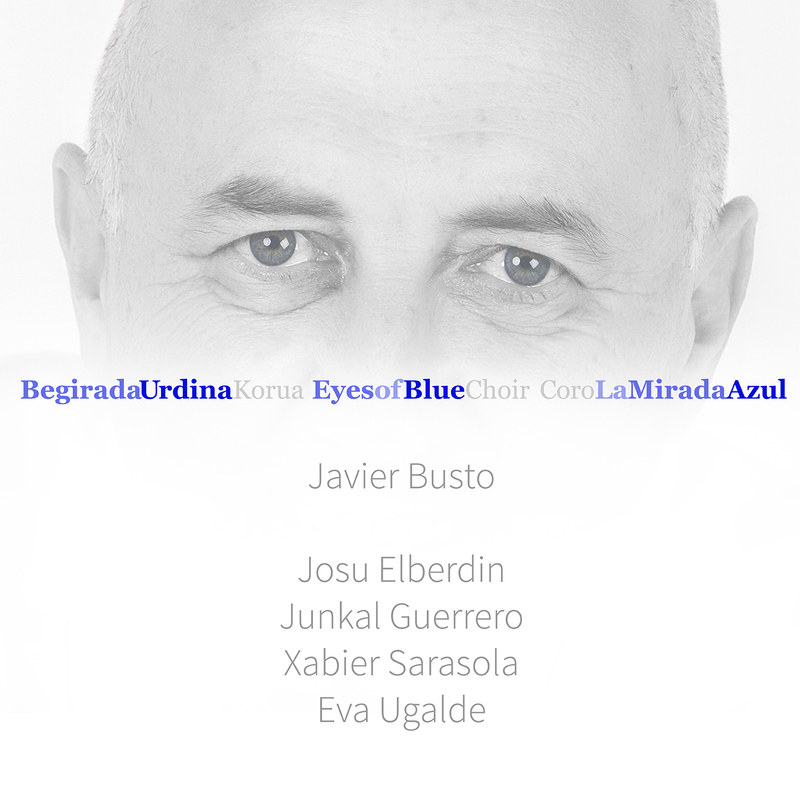 The works composed by Josu, Junkal, Xabier and Eva were their own gift for Javier Busto. The recording was done on the 18th October 2014 in Azkoitia (Basque Country – Spain) and the Sound Technician was Jean Michel Olivares. The choir you can hear, which we named Begirada Urdina, is made up of excellent singers and friends. Our thanks to all of them. It is worth highlighting that each of the composers worked on and subsequently conducted their own piece.